Listen Up - Zedd - Pop! Bang! Boom! I’ve mentioned Zedd before, thanks to his production duties. But now it is time to introduce you all to the music he makes himself. He is, first and foremost, an electronic/dance artist, and goddamn do I love him. Every song he does is amazing and pushed the boundaries of what we are listening to in pop music. He has produced two singles for other artists – <a href="http://popbangboom.blogspot.com/2012/06/review-justin-bieber-believe-deluxe.html">“Beauty and a Beat”</a> by Justin Bieber and Nicki Minaj, and “I Don’t Like You” by Eva Simons. He is supposedly working on Lady Gaga’s new album, after he remixed a number of her tracks and she loved them so much. While I obviously can’t wait to hear what will come out of that, I am going to focus on him and what he does for now. No need getting ourselves even <i>more</i> excited about what’s coming than we already are. 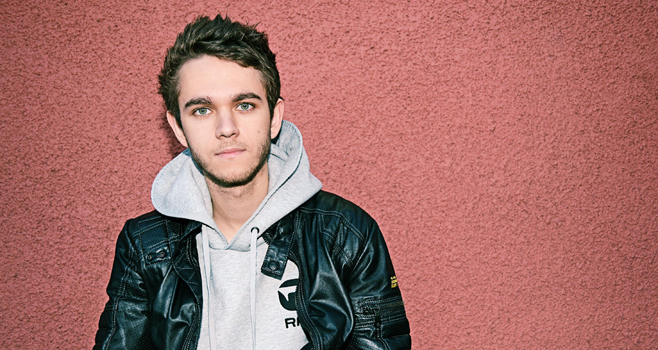 Zedd’s first proper single from his upcoming album ‘Clarity’ (which should be out sometime next month) was “Spectrum”, which featured Matthew Koma. The song made its way to #1 on the dance charts in the US, and that’s only the beginning. Zedd hails from Kaiserslautern, Germany (haaayyy) and has been at this for a little while now. While “Spectrum” was his first single to be professionally released blah blah, he has quite a catalog already. But enough talking – let’s dance! If you didn’t already know about Zedd, you can totally hear this being the biggest thing, can’t you? Thanks to people like Gaga and Skrillex bringing hard electro into the mainstream, artists like Zedd have a chance to go worldwide. And believe me, they are (and will). Zedd is on <a href="http://www.facebook.com/Zedd">Facebook</a> and <a href="http://www.beatport.com/artist/zedd/126776">Beatport</a> and <a href="http://soundcloud.com/zedd">Soundcloud</a> and all that good stuff. His debut full length, ‘Clarity’, is out on Interscope on October 9th.